Gupta right-hand man Salim Essa has left a trail of clues linking Jewish businessmen to the lucrative state capture game. AmaBhungane, an investigative journalism unit, has sketched out an elaborate web of deals for Daily Maverick outlining how a group of Jewish businessmen were central to siphoning millions out of Transnet. “We went after a trail left by Gupta lieutenant Salim Essa. What we found was a group of Jewish businessmen who complain of being shunned by their community because of their association with the Guptas,” reports the website. “Our investigation suggests the community called it right. 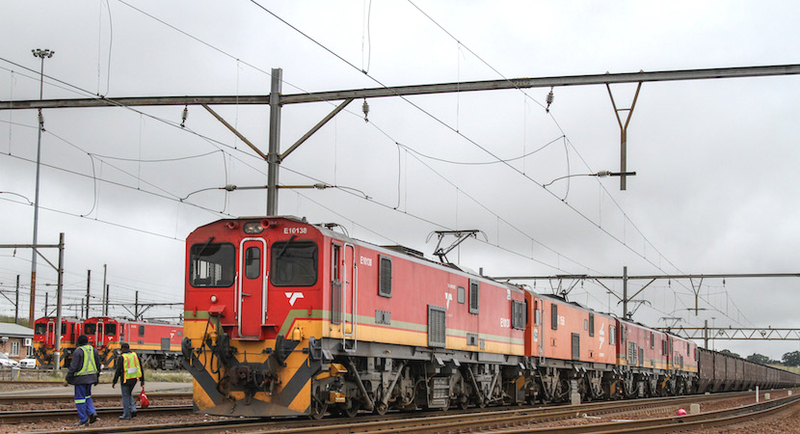 Essa extracted R76 million from a Transnet relocation project – but not without the assistance of a fake company with a stolen identity and a ghost director to help drive up the price Transnet was willing to pay,” it says. Daily Maverick points to the following South African business players as aiding and abetting the Gupta and Zuma families in raiding state coffers: Selwyn Nathan, Clive Angel, Stanley Shane and Marc Chipkin – all of whom have called on celebrity lawyer Billy Gundelfinger to represent them. At the heart of the deals lies “a strange little company” called Business Expansion Structured Products – Bex for short, says Amabhungane journalist Sam Sole. Bex had a role “in yet another Transnet rip-off orchestrated by Gupta minion Salim Essa, in this case on behalf of China North Rail (CNR)”, he says. “It has already been reported by amaBhungane how CNR called in Bex – a shelf company that we linked to Essa – to extract R647 million from Transnet for changing the venue for local locomotive manufacture from Pretoria to Durban. “A report into Transnet by law firm Werksmans revealed that this was a project that, by one internal estimate, should have cost just R9 million. “Instead Bex promised to extract the ‘best possible price’ from Transnet. Bex, a company with no track record, initially asked for a R100 million fee. CNR, Werksmans found, eventually paid a commission of about R76 million to Bex for having secured payment of R647 million from Transnet,” continues Sole. “The R647 million was considered so excessive by CNR’s own local empowerment partners – and the payment to Bex so questionable – that they laid a charge with the police in terms of the Prevention and Combating of Corrupt Activities Act. “CNR’s South African auditors reported the payment as having “significantly misrepresented to Transnet the cost of the relocation” and later resigned,” reports amaBhungane. The relocation project is currently “subject to a number of investigations by a number of law enforcement authorities in South Africa”, according to Transnet. In following the clues left by Essa, amaBhungane “wound up at the doors of investment manager Integrated Capital Management (ICM) and corporate services firm Legal Frontiers, neither previously linked to Bex”. “ICM was formerly chaired by Selwyn Nathan and at the time controlled by its three directors, Angel, Shane and Chipkin. These three men have previously been linked to Essa via their alleged role in the establishment of Trillian, the consultancy controlled by Essa that booked massive fees from Transnet and Eskom. Gundelfinger told amaBhungane the association with Essa began in 2014 when Selwyn Nathan introduced Essa as “a credible BEE businessman and potential client”. He also claimed that his clients’ involvement in the CNR project began in March 2015 when ICM met with Essa about assisting Eric Wood with a financial modelling project. Meanwhile, Angel and Shane are accused 3 and 4 in case 43/2018 at the specialised commercial crime court in Johannesburg, says amaBhungane. This involves a company called Biggest SA Trading (BSA) which focused on the distribution and delivery of liquor to various wholesalers nationwide, say the journalists. “Both Shane and Angel have indicated that they viewed themselves as victims and not suspects in the matter, but neither the prosecutor nor Super Group seem convinced. The trial has not yet got under way,” reports the Daily Maverick. All in all the “Gupta Minyan” is regarded as “bringing down the Jewish name”, as one observer put it. In a community that exists as a tiny minority in South Africa and often sees itself as under siege, this is seen as an offence that adds to Jewish vulnerability, notes Sole.